“Black Lava Bridge, Hana Coast No. 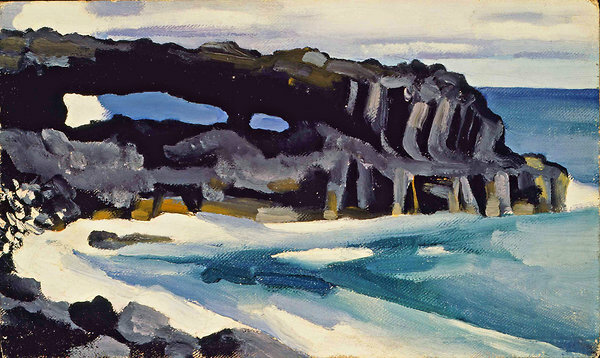 1,” 1939, by Georgia O’Keeffe. Tony Perrottet, travel writer for the New York times, has written an inviting, unusual article about his exploration of Maui in the footsteps of Georgia O’Keeffe, drawing on the help of Patricia Jennings as his virtual tour guide.